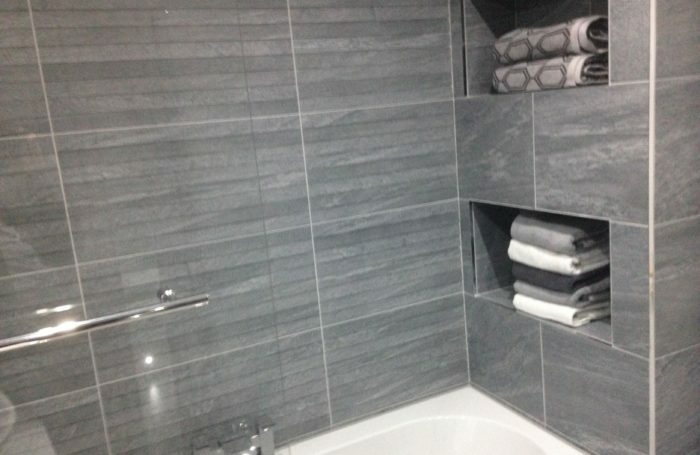 Take a look at this beautiful Glasgow bathroom installation recently completed in Stepps. 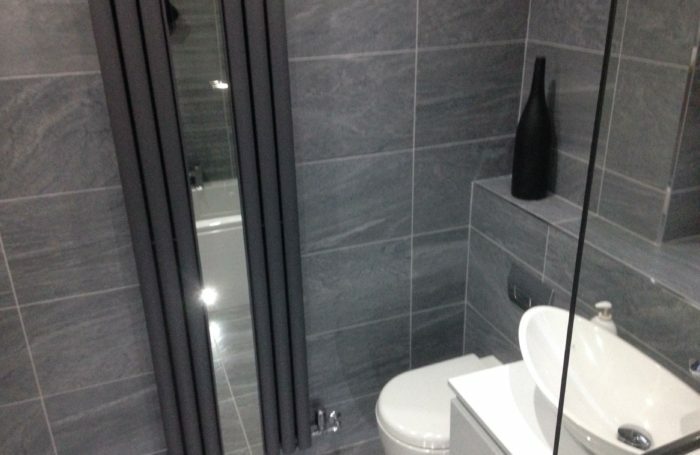 This beautiful fully fitted bathroom includes grey porcelain tiles, wall mounted W/C, vanity and counter top basin with feature lights, ceiling mounted shower head, concealed shower valve, anthracite radiator with integral mirror. For high quality Glasgow bathroom installations give Dynamic Home a call on 01698 300820 for your FREE computerized drawing and plan. See your bathroom before you buy.